Wouldn't it be great to cut through the maze of options and get a live human being on the line? It can be done in many cases, if you push the right buttons or say the right words. In many cases, pressing the zero button at every prompt will soon get the point across that you want an "operator". In IVR systems, repeating the word "operator" may have the same effect. If the IVR system says it doesn't understand "operator" try or "representative" or "agent." Often, the thing will give up and say, "OK, let me connect you to a customer service representative" or something similar. There are some tricks, though, for bypassing the robo-attendant, and getting connected to a real person. For example, if you bank with Chase, dial 800-935-9935, press 0, then 0# when it asks for your account number. To reach a human at AT&T U-Verse, existing customers can call 800-288-2020 from the phone that's on the account. Press 2, 1, then say "Representative". A number of Web sites let frustrated callers share the tricks they have learned for cutting through the voice menu mazes of major companies. GetHuman.com is one example. Enter the name of the company you want to reach in their search box. On the next page, the results will list the company's customer service number, the average wait time, the hours when they are open, and the magic sequence of numbers that will (hopefully) connect you to a real person. I tried several well-known companies, and had mixed results. Sometimes the instructions worked, and sometimes not. Here's a neat trick that sometimes works. Pretend that you speak Spanish, then change your mind. Press the key to select voice menu prompts in Spanish, then say you don't speak Spanish, in English. Most systems will transfer you to a live person who speaks English (although there may be a foreign accent). The trick is to get yourself into the shorter line of Spanish-speaking callers who need live help; they don't have to wait as long as the English speaking majority. If do finally reach a live operator, and end up getting put on hold, the LucyPhone service can help. Lucy is (was?) a free service that connects you to the number you want, and if you get put on hold, just press "**". Your call will be disconnected but Lucy will stay on the line, patiently waiting on your behalf. When the operator returns, Lucy calls you back and reconnects you to the conversation. 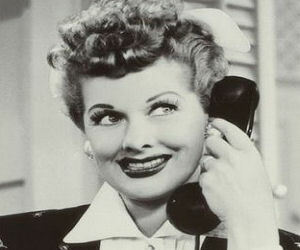 I say "was" because today the LucyPhone website is not working. I've scoured the web to see if there is any indication that the service shut down, but didn't find any such news. So I'm not sure if it's a temporary outage or not. FastCustomer is another service that can help. Instead of calling, navigating a phone system, and waiting on hold, FastCustomer has them call YOU. You can use their web interface to select a company and provide a callback number, or use a FastCustomer mobile app. Servul https://www.servul.com/US helps you to get in touch with a company's customer service department by choosing the best service channel currently available (Chat, Call, Self-service, Email, Facebook, Messenger, or Twitter). Servul has contact info for only two dozen or so major corporations, but it's a good idea and worth a try if you're having trouble making contact. Most recent comments on "Get Out of Voice Mail Jail, Free!" I have used gethuman.com, and I am very frustrated when they give you 18 choices, when, by the time you get to the 18th choice, you have forgotten what preceded it. They could be honest and say, "Look, we don't want customers bothering us," but I don't see that happening any time soon. Whenever possible I use CHAT, it is less frustrating for all the reasons Bob mentions, plus I can get a transcript emailed to me at the end. I clicked on the link for LucyPhone and got a blank screen. No text, no error messages, just a whole lot of nothing. I have no idea what to make of this. Choose carefully. I use Ting mobile for my smartphone. It's inexpensive, but if I call, I get a human - always, every time. They don't have a roborep at all. Sometimes there is a short hold, but they really will answer, or you can get a callback which they really will do. I've had a different company that never calls you back. The only "drawback" is you can't walk into their store and wait 20 minutes to talk to an arrogant oaf who has no idea how to do a simple task. Oh, well. I drive for a living in the UK and before the advent of smart phones, getting British Airways flight information for Gatwick Airport by plain old phone was a pain. Info. wasn't available on the main Gatwick number. You HAD to ring B.A. flight information direct. It was an expensive-rate number and if you spoke to it, it would hesitate and say idiotic things like: "OK - here you go", or: "actually, there is a delay on that flight". All engineered to make you stay on the line and to make them money if you went through the whole sequence, as they got a cut of it. However, I found that the only thing you actually had to say was "arrivals" and the flight number could be tapped in and if "1" was hit as soon as the next comment started, it stepped on. The whole thing was frustrating, throwing in human-like phrases (it's a COMPUTER, for goodness' sake!) and treated the caller like a total idiot. I protested to them but never got a reply. It seems that things are not really a lot better now! I attempted to log onto LucyPhone, but Safari would not provide any results, except that the url window placed the words 'not secure' as a prefix. I modified that url to read https://www.LucyPhone.com. The error message was that the website's certificate has expired. Maybe it will be renewed, maybe not??? Saying, customer service representative ad nauseum sometimes works. Sometime O works, but there are so many variations I usually follow the prompts until I inevitably get to the question they have no relevant response to and start repeating, customer service representative until they give up and usually connect me. Any suggestions on how to get past the rep who insists you do the troubleshooting steps you did before finally getting through? I have been with Ting for quite a while and agree with Charles. They try very hard to get to a caller as quickly as possible. Occasionally there is a long wait but not very often. Once you make contact, they are with you until you're satisfied. Voice mail jail is hell for a hard of hearing person! calling your closest SS office directly. I have found that simply mumbling some nonsensical response into the phone will get you connected to a rep. You'll get a couple of "I'm sorry, I didn't quite understand that" replies. Just keep mumbling and you will then get a "please hold" followed by ringing and a connection to a Rep. Unfortunately the "Chat" function is being replaced by text recognition rather than a live person. The other morning, Cox email was down and I couldn't get through on the phone. Went to the web site and selected "Chat". The "representative" came on and asked how she could help. Typed in "Is Cox having email problems right now? ", which was promptly followed by "I understand you need assistance in setting up your email" and a few other completely unhelpful responses before I realized I was attempting to communicate with a machine. I wish Dante had written The Inferno within the last 5 years. There WOULD be a special level in hell for all those who have foisted this nonsense on us. Press 1 if you agree. Press 2 if you disagree. Press 3 if undecided. Marque tres por espanol. OH!. Your text is very important to us. It may be copied and pasted for quality control. Agreed that the Voice mail jail is hell! Using a telephone gets very frustrating when you can't hear well. I do have my best luck via chat, when it's available. But then I suppose that will be switched to an agent-in-a-box. To get through at a credit card company, select stolen/lost card. This will get you a real person. Now proceed with your actual issue. I worked for the planet's second-largest Telecommunications company (Engineering & Operations Management) for many years. We'd always put the newbies on "Live Chat" and I have found that seems to be true for many electronics/communications/cable TV companies now. If you want to get hold of someone who is more skilled and experienced than a newbie, stay away from online "Live Chat" features and get on the phone to call customer support. Hang on, because it will be worth it. You can always ask for a Supervisor but are usually told there isn't one available. That's when I ask for the Customer Retention Department - THEY get stuff done, and usually faster than anyone else. (Say you will drop their service and in my opinion unless they're Comcast or Frontier, they will usually bend over backwards to keep your business and may offer you a better deal than you have now.) Also, ALWAYS ask for them to email you a summary of what's been discussed so they cannot say "they never told that to you." Get the employee ID number of who you've spoken to (they have to give that to you when asked) and make a note of the day/time of your call to them. Good luck! Bank of America has an automated voice system that lets me press keys for replies, eliminating the frustration and annoyance of being misunderstood when I say “Yes”. That is such an improvement that I use it regularly. In less useful systems, I do what I can to reach a real person. Pretend you have an old-school rotary phone and don't push any buttons. Don't say anything when the voice system asks you question. Sometimes, but not always, if you don't respond at all, you will get to a live person. My Wayback Machine browser extension shows its last capture for the LucyPhone website was on Jan 27, 2019.
. Probably gone for good. BTW: I've been using the Wayback Machine extension for years and highly recommend it. Some tangential advice: If you have a discount price or temporary credit which is expiring on your TV or DSL or cell phone or similar subscription service, or an annual fee for a credit card which is coming due, you'll naturally want to get a new discount price or credit or waiver of a fee to replace the old one. The procedure to do that is to call the company and talk to a live service representative. Explain that you don't want your monthly payment to increase (or you don't want to pay an annual fee), and ask if there are any new promotions available as replacements or offsets to the price hike. Sometimes the representative will say yes, but usually you'll be told that they have nothing. On rare occasions this won't work, and you'll have to back down and pay the extra amount. But most of the time it is very effective, because you have an enormous amount of leverage. These companies often spend an average of $50 to $150 to acquire each new customer. Once they have you as a customer they'd be stupid not to do everything possible to keep you, rather than spend that amount to try to replace you. The important thing is to threaten to cancel, and then talk to the retention representative who has much more authority. Don't use their CHAT box or automated voicemail system. And don't give up when the regular representative claims there's nothing anyone can do.